Welcome to our unique interim housing opportunity. Homes In Transition, Inc., offers a unique service to help Property Owners sell their vacant houses faster and at a better price. An interesting result of providing this type of service is that it also provides families and individuals the opportunity to live in one of these fine houses for about the cost of a studio apartment! Our service of providing individuals the opportunity to live in a great house for a great price has roots that go all the way back to 1986! Homes in Transition was founded in 2009 near the beginning of the Great Recession to again continue the tradition of helping others in turbulent times. Often we’re asked, “who are these people that move from house to house”. The short answer is they are people like you. They come from a wide variety of economic backgrounds, employment sectors and educational levels. Some come from out of town looking for a short term housing situation till they get a lay of the land and can find the right neighborhood or build a house. Some come as a result of a crushing economic situation they have recently encountered, divorce, SAVE MONEY, repair their credit and pay off bills. The reality is, the reasons people come stay with HIT are as numerous as the valued Caretakers who call their HIT house, Home. While this program offers some great benefits, it is different than a traditional rental and we have learned it’s not for everybody! We perform background checks, we require your accommodation of the selling process (showings, open house and closings), we inspect your house regularly to ensure it looks good for the selling process and that the house is being maintained and that we build your understanding of this unique living situation quickly before we get too far down the road. The benefit to you of course is that you get to live in a great house for a fraction of the market rent! Yes, it’s true you will have greater responsibility than a typical rental situation, but if you have clean living habits, are a good citizen and have the desire and ability to perform the minor maintenance, Homes In Transition offers a great opportunity for your interim housing needs. For many, the answer has been YES, but only you can decide for yourself. We have collected a number of Frequently Asked Questions (FAQ’s) for you to explore as you become familiar with the HIT program and its many benefits. If you believe this program is right for you, we want to help you get started! We recommend review the most Frequently Asked Questions first. Then use the form on this page to let us know who you are so we can get you a little more detailed information and an Application. It’s our goal to provide you with all the information you might need BEFORE you become a Caretaker. So please don’t hesitate to Contact Us if you don’t see the answer to your questions. Homes In Transition, “We Breathe Life Into Vacant Houses”. I certainly appreciate your hard work. 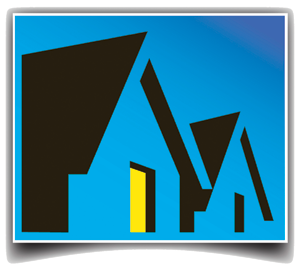 Homes in Transition has been a wonderful company to work with and I would recommend you highly. Christy and I had been very busy the last couple of days and have figured out what will be best for our family. Thank you again for your help. Your company has provided a great service. I have so appreciated you and Homes in Transition. Now in my second house through HIT, I can attest to your service and to the degree in which you care about both the Homeowners and the Caretakers. You have a unique vision in fitting the perfect house and furnishings together. I thank you for all that you have done. I am honored to be a caretaker.